A positive teen messaging program created for Communities in Schools of Pennsylvania (CISPA) by La Torre Communications of Harrisburg is a Keystone Award winner. Keystone Awards are given by the Central Pa. Chapter of the Public Relations Society of America. The teen messaging program supported Harrisburg-based CISPA’s efforts to improve attendance, attitude, behavior and academic performance in schools throughout Pennsylvania. This was one of 10 Keystone Awards presented by Central Pa. PRSA to local organizations and practitioners for excellence in public relations campaigns, strategies and tactics. Entries for the annual awards were judged by the Florida Public Relations Association. They were presented at a dinner on November 14. 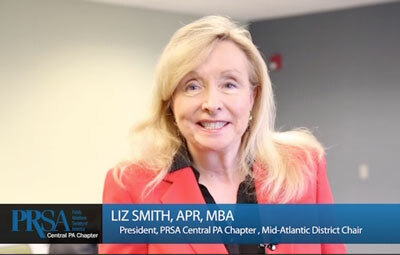 The PRSA chapter also presented the Frederick E. Leuschner Award for Excellence in Public Relations to Betty C. Hungerford, director of development at Homeland Center in Harrisburg. Hungerford was previously given the Woman of Excellence Award by the Harrisburg YWCA, the Woman Who Cares Award by Open Stage Harrisburg and the Robert D. Hanson Harrisburg Rotary Club Excellence Award. In 2009, her alma mater, Lebanon Valley College, conferred an honorary Doctor of Humane Letters degree upon her, due to her leadership in numerous organizations, both as a professional and volunteer. The Young Public Relations Professional of the Year Award was presented to Kara Luzik of La Torre Communications. This award is presented to a young professional who demonstrates exceptional leadership and professional achievements. Luzik previously received the IABC Award for Excellence in corporate/institutional communications from her alma mater, Elizabethtown College, and was honored by the Pennsylvania School Public Relations Association for newsletter production.